The Night Cap is Finally Here! It’s finally here! After Sandy caused us to delay, this Saturday’s very first Night Cap is going to be quite the evening. Adam, Keith, and I are feverishly working to get the final touches in order but those who managed to get tickets are in for a good night and plenty of surprises. For those who couldn’t make it this time around, we’ll be setting up an email list shortly and you can follow along the fun at our twitter handle @NightCapNYC and at #NightCapNYC all tomorrow to see the sights first hand. Enjoy your weekend everyone! This batch of flavored clear liquors (almost certainly limited releases) will be enjoyed at some point down the line but for now, they are tucked away in my cubicle drawer to remain out of site until one after one, I carry them home on the train. It’s not so much that anyone here would be appalled at this circumstance, but for me, I feel a bit more comfortable with the booze hidden away. But this wasn’t always the case now was it? 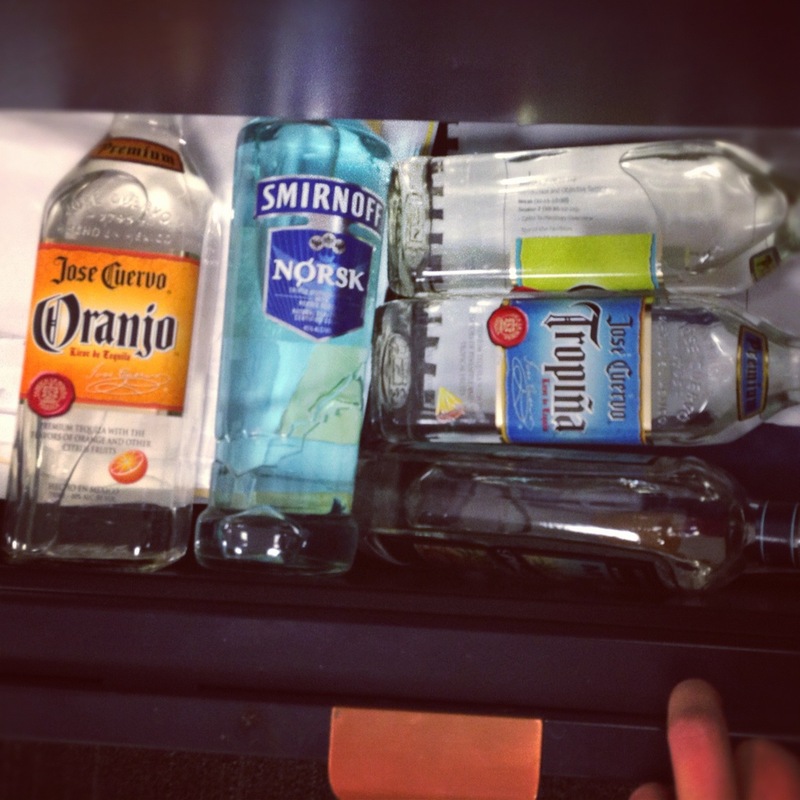 The success of Mad Men has re-glamorized the notion of drinking in the office. A bottle of scotch in the drawer was and in some fields still is, the sign of confidence, power, and maybe more currently, an employer who values their employees as responsible adults. And yes, these connections to the ad agencies of the 60s and the lifestyle of the power players holds accurate and is indeed intriguing, but only when you consider the significance of the timeline, post Prohibition. I’ve written about this before but just for a quick refresher, the distillation boom in the 1800s significantly changed the way the average drinker consumed. Leading up until that point, it was extremely common for the men of agriculture and industry to drink a low alcohol beer with breakfast, lunch, and dinner. In some cases, these drinks were actually consumed as “safer” alternatives to the low quality water available. But once distilled spirits became readily available, these drinking habits caused a bit of a problem; low alcohol beer and still proof whiskey aren’t exactly in the same category. This certainly wasn’t the only reason, but let’s just say the “behavior” of some of these men made it pretty easy for the Temperance Movement to showcase the perils of alcohol. So fast forward through Prohibition where alcohol sale and production was deemed illegal to the period of time in the US depicted in Mad Men. Industry post WWII was changing gears and new careers / new businesses were shaping the new American economy. And in some ways, and maybe this is a bit dramatic, successful businessmen, drinking on the job was a symbol for true recovery and advancement. Prohibition, the Great Depression, and two World Wars later, we embraced the notion of alcohol having a place in our daily lives and with the very same “strong stuff” that got some folks in trouble in the first place. Hope everyone is recovering from a fantastic Thanksgiving Holiday! I know I ate and drank myself through the weekend like a champ and there were a number of serious highlights, including that pumpkin pie bourbon a number of us were excited for. After straining off the pumpkin and cinnamon sticks I decided to add just about a tablespoon of good maple syrup to the batch which really brought out the flavors I was looking for. I think it probably could have used another week or so with the pumpkin chunks, but it was still really delicious and probably a new Thanksgiving tradition. 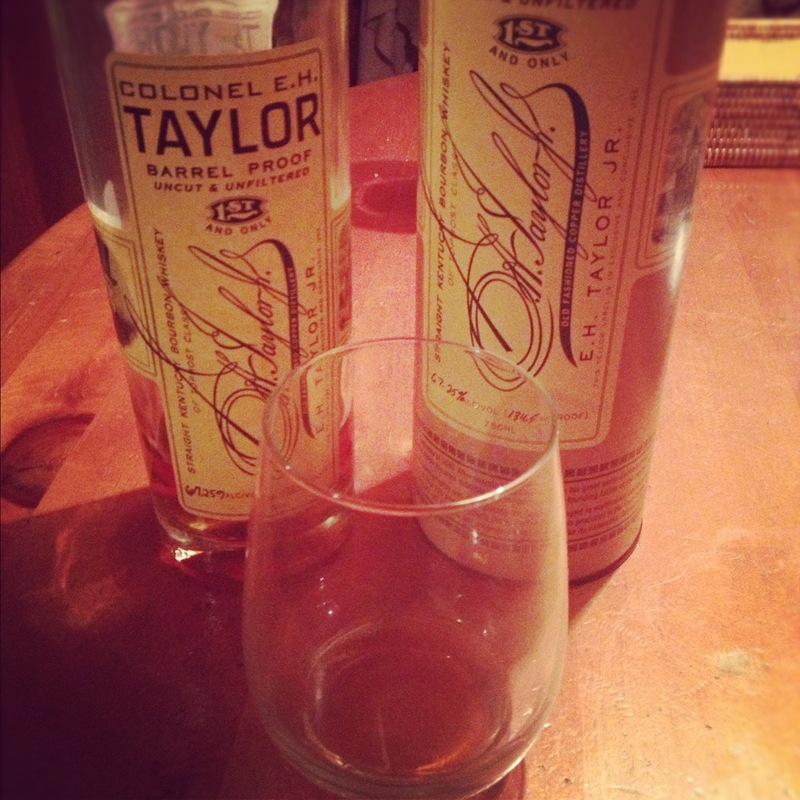 But the drinkers highlight of the holiday had to be this E.H. Taylor Barrel Proof that friend of the Nobler and Sea Cliff whiskey expert Jay Fosset brought to the party. For a little background, E.H. Taylor is considered one of the founding fathers of Bourbon and is largely celebrated for his continuous efforts to further the industry as the owner of the now known Buffalo Trace distillery. This small batch line in honor of Taylor has caused quite the stir in the bourbon community as the now hotly anticipated release of the next bottles stems from both an expectation of quality but also a little history. Take for example the release of the Warehouse C edition which touted two pretty fascinating story lines. One of Taylor’s major contributions to the industry was his focus on controlled climate aging. For both consistency and quality, it was with this ideal that Taylor built his warehouses over a century ago, of which warehouse C is one of the finest. But that was only half the story for this special release as in 2006, a tornado ravaged the Buffalo Trace warehouses. Despite the impact, the storm wasn’t strong enough to take out the barrels themselves. The Trace distillery rushed to re-build and repair where necessary, while all the while the barrels full of bourbon aging away in Warehouse C were exposed to the elements. The eventual release of these Warehouse C bottles celebrates the hard work and focus of both the past and present. Read more about the release here. The Barrel Proof is now the fourth release under the E.H. Taylor name and focuses on the full potential of well aged bourbon. Uncut and unfiltered, this bourbon clocks in at 134.5 proof and just like their website claims, this bourbon is uncompromising. A few drops of water help open up the bourbon dulling the intensity so one can focus on the serious depth in flavor. I can truly say, I’ve never had anything like this bourbon before. While the alcohol content hammers you on inhalation, the drastic burn you might expect never shows. Instead, rich well-balanced flavors take over your palette in a way you can’t help but be enamored by. This is a bourbon meant to be sipped slowly and with real attention. It’s a bourbon lover’s escape into an era of American distillation that helped shape the industry as we know it today. Thanks to Jay for sharing! Now that Adam has you covered for the wine selection on Thanksgiving, it’s time to turn your attention to the minimal or non-wine drinkers in the holiday clan. While you might be tempted to gloss over the beer choice and stick to something basic and simple, to me, on a day where we honor the pilgrims and native Americans by stuffing our faces on border-line traditional food and stare at glowing boxes of football players bashing their heads together, it’s a damn shame to fill yourself up on crappy beer. Particularly with all the amazing options out there. I’ve seen a number of posts out there attempting to pair beer with the key food items on the Thanksgiving dinner table. But the obvious issue there is of course, after we fill our plates to the brim and smother it all in gravy, the meal sort of goes from a number of distinct items to a conglomerate of textures and flavors; sort of a Thanksgiving Megazord if you will (about time I slipped a Power Rangers reference into a post). This makes the aforementioned “pairing” a bit more difficult. And quite frankly, I think the pairing idea is a bit overrated. 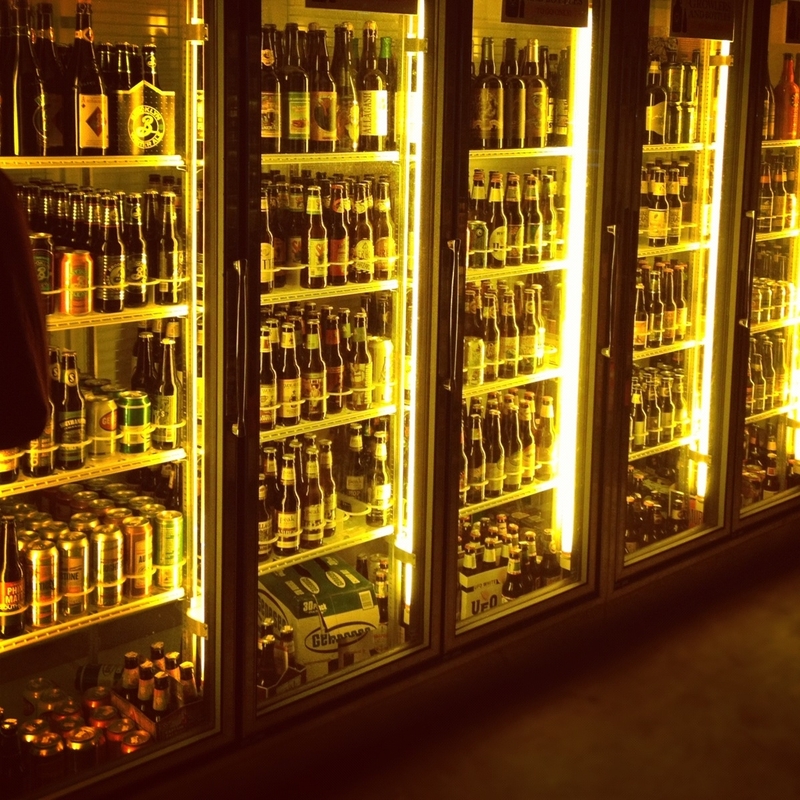 Whether it be wine, beer or otherwise, I always follow the mantra, “drink what you like”. So with that in mind, I’m throwing out some of my favorite beers that I think work perfectly for Turkey Day! The list may be a bit Northeast biased, so feel free to chime in with comments on some of your favorites as well! 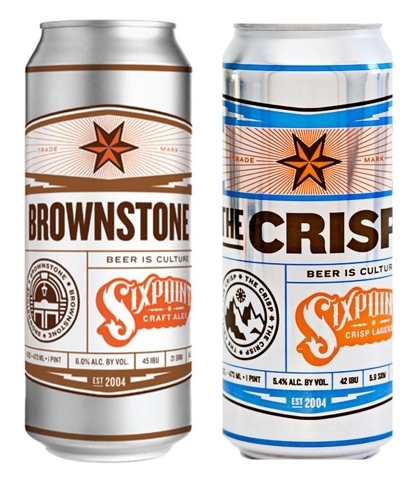 Six Point Brownstone and The Crisp: The folks at Sixpoint have been consistently at the top of my beer list over the past few years and these two offer the perfect variety for your entire Thanksgiving day. Flavorful but not too intense the Brownstone is earthy and smooth making it a great beer option for the meal itself. The Crisp on the other hand plays the role of a lighter more, well crisp, option perfect for day drinking. If you can’t find Sixpoint in your area, the Victory Prima Pils is a great option in replacement of the Crisp, and Goose Island makes a solid beer called the Nut Brown Ale as well. Goose Island 312: You might be tempted to load up on the pumpkin ales for this harvest based holiday but let me tell you why I’d suggest against it. Even though I tend to be a pumpkin ale defender, you’ll want to save the pumpkin excitement for that “pumpkin pie” bourbon you’ve got in the works. 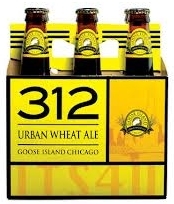 Instead, I’d suggest sticking with some fall seasonality and go with the 312; that is of course if you don’t have some Cow Thieves Witbier in your fridge. It’s funny to me how wheat beers have taken on such a summer connection. I think they make even better fall offerings and the 312 is one of my favorites. If you can’t find the 312, the UFO Hefeweizen from Harpoon Brewery and the suite of Blue Moon harvest beers will work just as well. 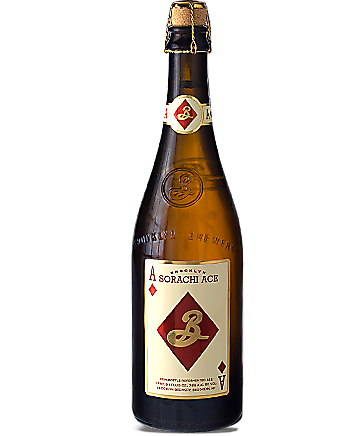 Brooklyn Brewery Sorachi Ace: This unique farmhouse style Saison is created using a rare Japanese developed hop variety, known as “Sorachi Ace” which the Brooklyn Brewery brewmaster encountered and fell in love with immediately. To cap it all off, the brew is then re-fermented with champagne yeast in the bottle leaving one of the most perfect beers I have ever tasted. I was tempted to leave this off of the list as I’m not sure how available it is around the area, but I have started to see it pop up more and more. If you can get your hands on a bottle or two of this stuff, you’ll be proud to serve this at your Thanksgiving dinner. Or if you are a guest, you’ll quickly become the most valued! 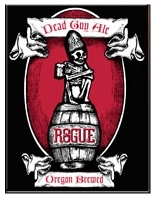 Rogue Dead Guy Ale: This beer is aptly named for a post dinner drink as you might feel a bit “expired” from the day’s eating and drinking. And even though it’s not typically marketed in this way, the Dead Guy is full flavored and malty making it my ideal drinkers dessert. Sipping one of these as you settle into the night sounds like a fantastic way to end the Holiday. If you are looking for something much more dessert appropriate however, you can try Southern Tier’s Creme Brulee Imperial Milk Stout. It’s absolutely delicious but definitely a commitment. Full bodied, full flavored, and appropriately sweet, there’s no question that will be your last glass of the night. Like a warm glass of milk before bed time. Great Stress Free Wine Advice for Thanksgiving! 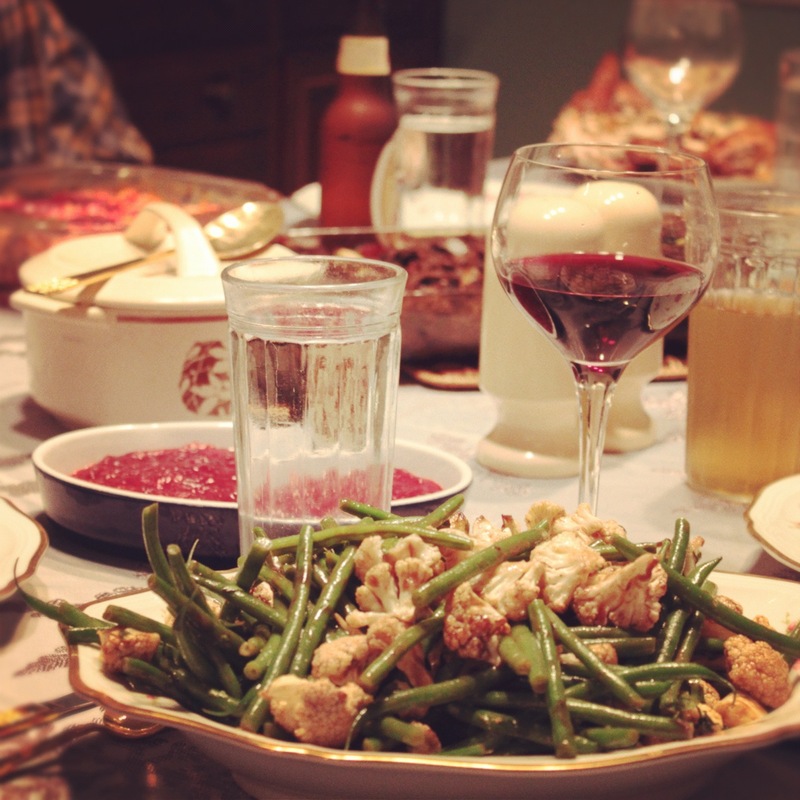 Thanksgiving is quite possibly my favorite holiday, from the food, to the football, to the cocktails and, of course, to the wine. There is nothing more enjoyable than getting together with friends and family to share a meal and drink great drinks. That said, this meal comes with a lot of pressure, so my hope is that at least in the wine department, I can rid you of some of that stress. Over the past few decades a trend has developed around our tables. Wine writers have declared that, because Thanksgiving is an American holiday, we really should drink an American produced wine. In the 80’s and 90’s, this meant the wine was probably a good Cabernet that came from California’s Napa Valley. As we moved into the 21st century, the wine became Pinot Noir from Oregon, and Pinot is still the dominant wine that is suggested every year. But I am here to tell you that there is another great American wine that everyone is overlooking, and it should definitely be on your Thanksgiving table. That wine is Cabernet Franc from New York’s North Fork wine region. Cabernet Franc has historically been known as a blending varietal that is used in Bourdeaux, but out on New York’s North Fork, it is proving itself to be a varietal that was destined for much more than just a grape to be blended with other grapes. Cabernet Franc is light in color and can have lovely notes of pepper, raspberry, tobacco, and violet, perfect for pairing with the Thanksgiving meal. When serving a whiskey, particularly a good one, an ounce and a half or two ounce portion for $10 is no longer acceptable. 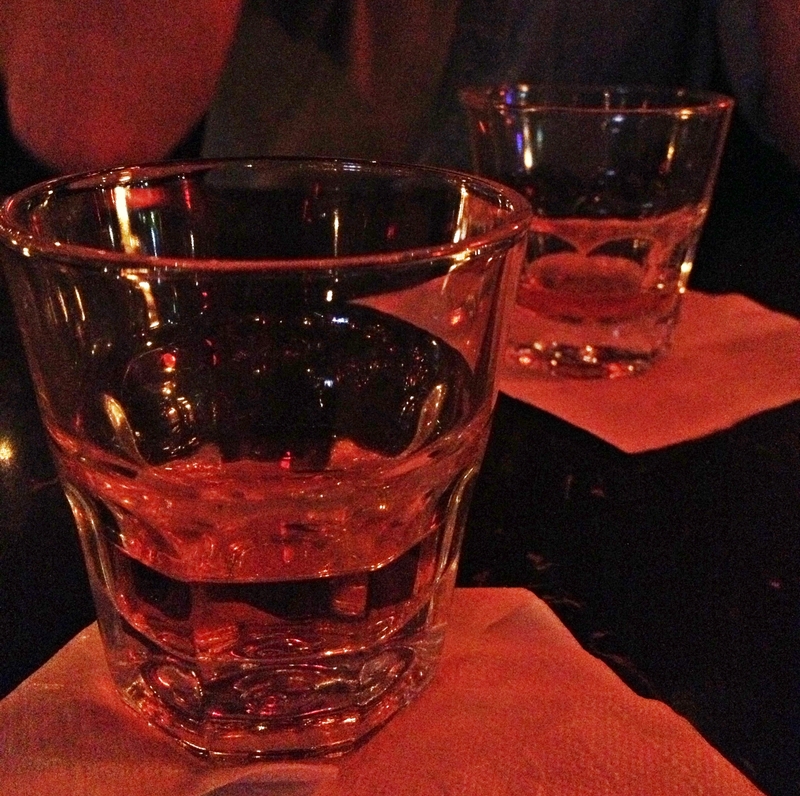 We, the whiskey drinkers of New York, are reasonable people (most of us at least). We now, more than ever know what we like, and more importantly know what things ACTUALLY cost. And the thing is, we don’t really care if you charge us $10-$12 dollars for a glass. We get it. You have to make money too! But please, please please please, pour us a real glass of whiskey. In all honesty, it’s really amazing how often I come across this these days. There are so many bars in this city and way too many of them suffer from the light handed pour. And it shouldn’t just be the drinker that has a problem with this. The small brand distilleries that have spent years and years mastering their craft, finally pushing through to gain the respect they deserve in the whiskey community should be just as pissed, maybe more. The human brain is fickle and while it might not be the distilleries fault the bartender and the bar owner are ripping off their consumers, it does impact people tendencies towards whiskey loyalty. And it’s a shame. One could only hope these words are meaningful to the bar owners of NYC, although unless you all share this a million times over, I doubt it will matter much. But as a drinker, a bar goer, you can at least make a choice. And that choice should always be to frequent and support bars that care just as much of your experience than they do their bottom line. Happy Saturday! 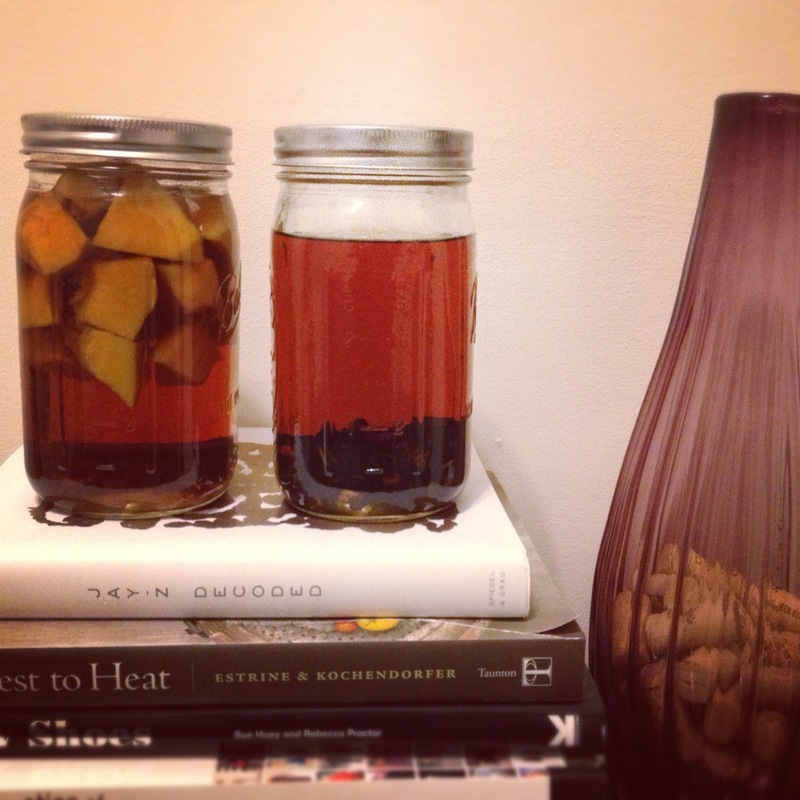 It was only a matter of time until my mason jar experiments started taking over the apartment. Looks like it’s time to re-organize my liquor cabinet! But when the results are as good and as interesting as the oak chip bourbon aging project and the pumpkin and cinnamon infusion, it’s hard not to keep adding to the mix. As a quick update, the oak chip aging (mason jar on right) is working better than I could have ever imagined. We tasted a small sample this past Friday, only a handful of weeks after I set it up, and while the moonshine characteristics remain, they are clearly rounding out and being replaced by the smoky oakiness of the burnt chips. Just like a good bourbon! So like any good scientist would agree on, it’s time to get back into the lab and start playing with a few more variables. Time to dial-up the SA / V ratio and start tasting way more often. My bet is by Christmas, I’ll have something I’m really proud to share! As for the Thanksgiving Dessert bourbon, I think a few more days will do the trick here. But I wanted to at least post the basic recipe today just in case anyone wanted to use their weekend to prep a batch of this for their own Thanksgiving. I used half a smallish pie pumpkin from the farmers market, peeled and chunked (probably two cups), along with two cinnamon sticks in this 32 oz of bourbon. I used some W.L. Weller because it’s a great base bourbon and anytime you are infusing ingredients, it tends to be a waste using really complex alcohols; those flavors tend to dissipate. For an even better version (which I plan on making this weekend), I’m thinking it might be good to sugar caramelize a bit of the pumpkin. My thinking is to sprinkle some fine sugar on the chunks and use the same creme brulee torch I used on the oak chips. This way, some of the natural sweetness of the pumpkin will come through making a potentially even better after dinner drink. But regardless of what you have going on, enjoy the weekend and any additional Holiday prep you might be involved in. Don’t give in to the stress of the season. Sit back, enjoy it all, and when all else fails, fix yourself a stiff drink. You are currently browsing the The Nobler Experiment blog archives for November, 2012.